Nascat Excavating and Bobcat Services is Kelowna’s professional excavator for sod removal and topsoil contouring for gardens and new lawns. Bobcats are great machines for land clearing and are quicker and more maneuverable for sensitive areas. If you don’t want to waste money on a larger, slower machine that tears up the ground, or if you have environmental concerns, give Herb Escher a call. 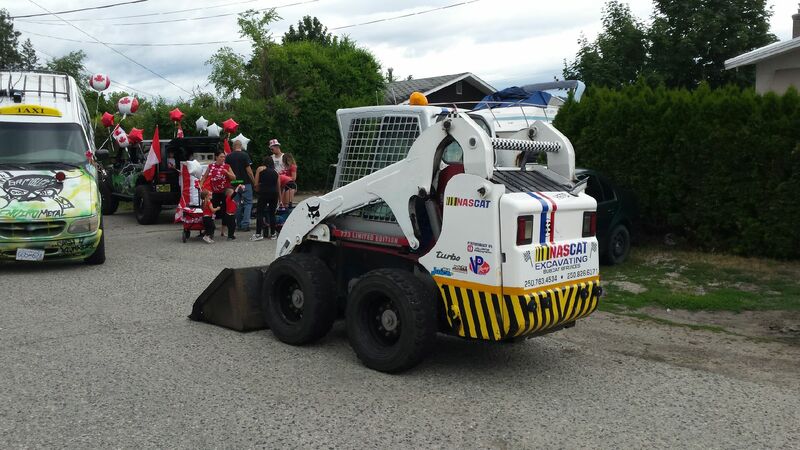 From sod removal, to clearing and stump removal, Nascat Excavating is the best choice for Bobcat services in the Okanagan. There are many considerations for asphalt and concrete preparation to ensure a properly engineered driving or parking area. The sub-grade needs to be stable, with a mixture of soil that will compact easily to create a smooth surface. Surface drainage needs to be engineered in preparation for the asphalt pavers. Whether you need asphalt preparation or a ground surface prepared before pouring concrete, finding a reliable contractor in the Okanagan Valley just got easier. Give Nascat Excavating and Bobcat Services a call to discuss your project. Nascat Excavating and Bobcat Services provide trenching for the region. Nascat’s trenching services have been contracted for the installation of basic conduit systems, electrical and fiber optics, and for water and sewer lines. Drain trenching can save your property from erosion. When water finds its way through or under your foundation, walkways, and embankments, the land can shift under your structure causing significant damage. Trenching for underground gutters or drain tiles are services offered by Nascat. Call Herb today and he will help solve your yard drainage issues and trench your land for agriculture or irrigation systems.